Linguists working with communities to document, preserve and restore languages in danger, especially languages of Western North America. WIELD was founded as a 501(c)(3) in California in 2013 after almost two years of planning and discussion by the four founding board members. 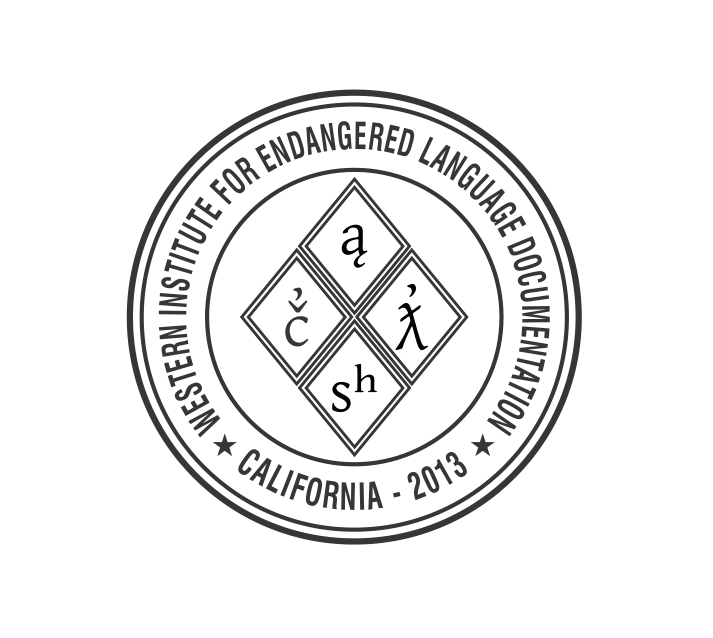 Our logo is a nod to both the Americanist tradition within which WIELD seeks to preserve and understand fragmented languages and scripts and to those original four board members. The four diamonds and the symbols within them represent the four founding board members and acknowledge that the number four was auspicious or sacred throughout much of North America. The phonetic symbols are drawn from the Americanist tradition, and all of them but sʰ are specific to that system. Each phonetic symbol represents a sound in a language with which one or more of the founding board members had worked (clockwise from the top: Yuki, Kwak’wala, Chumash, Pomoan).